A lot of discussions are going on the fast growing Mobile Value Added Services and their growth prospects. I would like to light on some personal thoughts on this subject. The sector is doubtlessly emerging and in my opinion, the growth of this sector has no limits. It is sure that the Mobile phone or the tiny piece of hardware going to make fabulous changes in the lives of next generation. Scientists working on what all other utilities can merge more, inside this tiny piece of Hardware. In other words they are gradually making the mobile phone as a platform to incorporate variety of utilities for which we used different hardwares till the time. Its even became a threat to some existing utility hardwares which were treated as an essential part of day to day life. We often use the concept “endangered species” as a biological terms, but here, I think there is such species in utility hardwares only cause of the appearance of Mobile Phones. Its doubtless, we are saving space, money as well as time cause of this stuff. Its is expected that, after 4-5 years we will use Mobile Phones for a variety of other purposes than what they currently designed for. 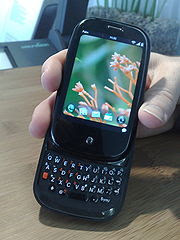 The application utilities which only can run in Desktops and Laptops will drastically shift to nextgen mobile handsets. Our kids will learn typical word processing/accounting /presentation/Internet application softwares as well as common utility softwares from such high tech hand sets instead. The mobile phone is increasingly becoming a powerful computing device. The anatomy of mobile phones is undergoing avant-garde changes. Today we can find a processor running inside it and a memory of about 8-16MB. We are easily connecting to the internet using GPRS of a data transfer rate of about 30 Kbps. Most of these devices have a slot to carry a SD card that can store up to 1-2GB of data. Means, such a phone today compares auspiciously with a Pentium-I PC of 1990s. The basic configuration of such system was some 133 MHz processor, 16 MB of RAM, 1-2 GB of HDD and was good enough to connect to the internet using a 33.6 Kbps dialup modem. It is significant to remember that the above said configuration was the base of PC revolution seeds thousands of utility/application/system softwares over more than a decade which changed the lives of billions. I strongly believe that we are going to observe a similar revolution with the mobile phone over the next decade. If it works, How thousands of new mobile application utilities look like? What all the names of such softwares. Who will be stand in the place of Microsft or the leading operating system (OS) provider? Who will be the next IBM or Intel to provide excellent hardware support? How the then viruses will react to your handsets/applications? It is really interesting to find answers for such questions. You will use your handset definitely for verbal communication and for messaging as usual. Its exciting to think on, as this tiny piece of hardware is capable to do all that what a computer can do today. In addition, it can take high quality Photographs, Videos. You will listen music, see movies, read news papers, operate your bank accounts, pay your bills, book your Air/Train tickets and a lot more…. You can think on this turnaround story in other way. 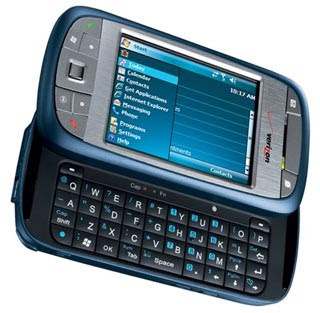 Just try to recall, what all the facilities available in the initial Mobile Handsets you had before 8-10 years. Just use your fingers to count the added facilities by these years. Your Handset wake you up in the morning, its tell you the exact time, It counts the time u engaged in jogging or running accurately, You have a calculator in it, You have a Calendar in it, You have a camera in it, you are playing games in leisure, it reminds your engagements, you are listening music from that, viewing clips, sending Multimedia messages, you can brows a bit, sending emails… Fingers are not enough to count all the added service by last few years. Yes, all these changes are nothing new to us now. Be prepared to be count and experience more such additions. Its almost sure that your mobile hand set will replace your Desktop or Laptop up to an extend. What else? Sometimes in future, your hand set may tell you odd things like your BP is increasing or instruct you to control the cholesterol count level frequently. It may guide you to reach certain place using GPS technology. It will make automatic calls to your near and dears in a case of any harm with you. Let us see what all “endangered species” of hardwares yet to come. Some Indian companies also actively incolved in the business of fast growing MVAS (Mobile Value Added Service) working hard on developing compatible Hardwares/Softwares and to defining the required network infrastructure for future. The initial generation of such “Smart Phones” are now in market, but a big revolution still ahead. Certain Indian companies working in this field doing exceptionally and preparing to make a boom in this sector. Investing in such companies may bring good fortune in coming 4-5 years. Readers are requested to comment whether negative or positive will encourage me to share more in this line. I always learn something new from your articles. But when I saw the tittle "Mobile VAS – The Future Hotspot", I thought that there won't be any thing new for me in the article as I am already bullish on this sector. But at the end of the article I read about sending automatic calls to our near and dears in a case of any harm with us. This is new to me. Thanks. "Scientists working on what all other utilities can merge more" --- This is called Ubiquitous computing. Support you kept the milk in your refrigerator and you simply move side of refrigerator in the morning to your office. Magic : The moment You move side of the refrigerator, your refrigerator signals your mob inside your pocket that milk is finished. Your mobile captures and stores. While u r moving to your office, the Milk Diary walla had mob, the moment you pass the Diary shop, your mobile signals, Diary walla mob that Shabu's Milk Finished. Diary walla mob captures it and stores. When in the evening you are returning from the office and the moment you pass the Diary shop, Diary walla mob knows that you are returning to your abode. When you reach and within few minutes milk will be delivered to you, you immediately surprised that milk was finished morning only But you didnt knew it, But Ubiquitous helped you to get milk in the evening. This is only one case of millions of ideas. Mobile Camera can be used in the comming days to check whether breakfast/luch/dinner is good enough to your health or not. Your post lets user to imagine more. Thank u for the comment. If a small sensor which can detect blood cells or any other visible disorder in our body is enough to make such an addition to the mobile stuff. I don't think its impossible. Readers like you really encourage me to keep this effort alive. And your thinking is also possible in future. BP alert is possible. I remember zee sports channel displaying live data of players during ICL matches. Most of us won't take care of our health. But if our relatives gets details of our health, they will take care of us. So I think alerting our relatives is more important than displaying medical data in our mobile. If some body attack us, our BP will increase and our mobile will alert our relatives about it. They will reach us with the help of gps. Will add one more technology called NFC (Near Field Communication). This is still in prototyping stage. So, good amount of time is remaining before it hits the market. To cut long story short, you will not need any ATM or credit cards (swipe cards) to shop in the malls or to buy tickets. You just need mobiles. Thanks for the comment.. Yes they are in search to what else can incorporate in the stuff... Impossible is nothing!